Before you start saying “No way, I’m not that creepy”, hold up and listen to how it works. Eatwith is a whole new immersive dining experience and it’s not only delicious, but a great way to connect with locals. Eatwith is available in over 110 countries and they’re not just random strangers who are like “yeah I was making nachos anyway, pop ‘round”. They’re all properly vetted and legitimately can cook. They’re singles, couples and families who really love cooking and WANT you to eat dinner with them! Think of it as Air BnB for food. Imagine traditional Portuguese food (entrée, main and dessert plz) served in someone’s home in the centre of Lisbon, or Parisian cuisine made by locals who know where to get the freshest in-season ingredients and can tell you the best gems in their neighbourhood. It’s the perfect way to meet people from the area you’re in and get to know a bit about them and the city. Pro tip: most Eatwith experiences are B.Y.O so they’re great for a cheap night out! Seriously, what are you waiting for?! Get eating and take your passion for food to the next level on Contiki’s In-Depth Explorer trips! 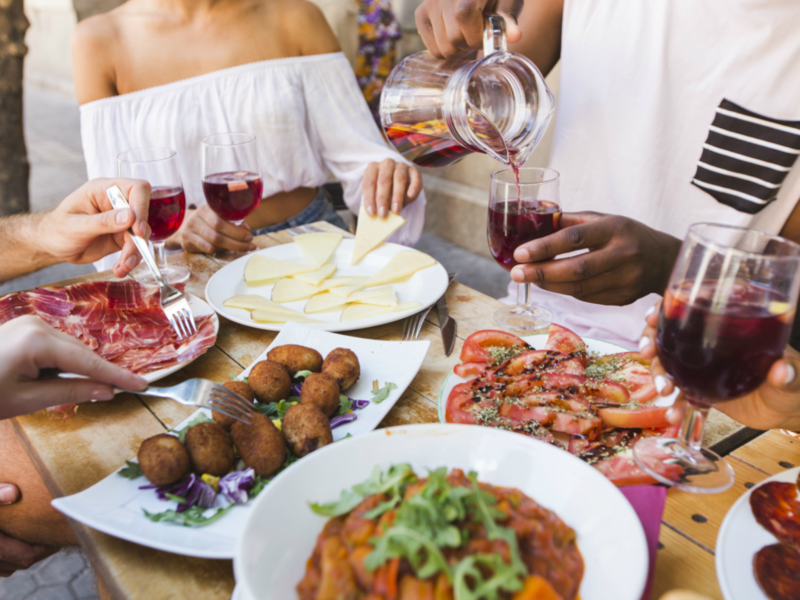 Plus, if you’re looking for even more epic culinary adventures, Contiki’s Munch program is bringing foodie-centric experiences like cooking classes and Masterchef-created menus to Europe and beyond. With breakfast every day, included meals at local restaurants and authentic eats at all of their Special Stays, you can eat like the locals do, hassle free and with as much flavour and variety as you can handle. That’s what we call eating AND travelling, Contiki style, with No Regrets.